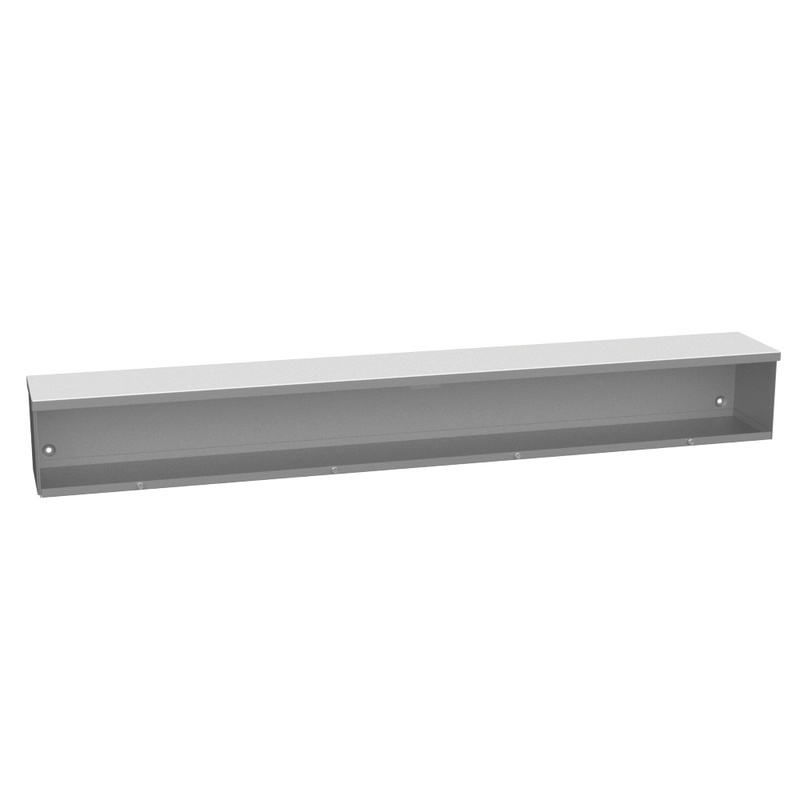 Milbank Wiring trough features 16-Guage G90 galvanized steel construction with ANSI 61 gray polyester powder-coated finish for corrosion resistance. It measures 6-Inch x 6-Inch x 48-Inch. This screw cover trough has NEMA 3R enclosure to provide safety. The embossed mounting holes come at the back of the unit. It has a knockout for key locking cylinder latch. It protects wiring in outdoor installations against rain, sleet or snow or indoors against dripping water. Wiring trough is UL 870/CUL listed.